WORLD'S LARGEST CHRISTMAS BASSOON BAND!! of your holiday favorites featuring the Barking Basset Bassoon Band. We will once again perform at Woodland Hills Mall, Tulsa. for specifics on our 2018 past performance. If you are a bassoonist, please join us December 17, 2019 at Woodland Hills Mall, Tulsa. Dr. Robert Jordan will again be with us in 2019 offering his insights into bassoon and demonstrating his inventory of bassoons for sale. Dr. Jordan is an internationally known bassoonist and pedagogue. He has studied with many of the top bassoon teachers of the 20th century and will be looking forward to sharing his information in masterclasses. He is also President of Weisberg Systems (weisbergsystems.com), a company that designed and currently installs the double octave system to bassoons. This is an add-on system that eliminates flicking. He will be demonstrating this system at our bassoon workshop. The winner will perform the first movement to Mozart's Concerto for Bassoon at our final gala concert on Friday, June 14 with the Barking Basset Bassoon Band as your accompanist! We will hold an audition for this solo spot on the second day of our workshop (June 11). The winner will be able to rehearse during the week with the bassoon big band leading up to the performance on Friday, June 14! ​The 2019 Bassoon Bonanza! 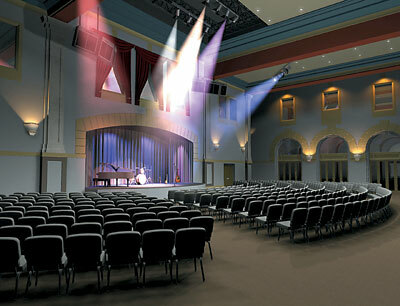 will be held June 10 - 14 at the Oklahoma Jazz Hall of Fame in the heart of vibrant downtown Tulsa, Oklahoma. It is a five-day workshop for bassoonists of junior high and high school level in addition to interested adult players. Resident artists will be Richard Ramey and Susie Brown, the bassoon section of the Tulsa Symphony, Tulsa Ballet, and Tulsa Opera. The Bassoon Bonanza! will offer participants an opportunity to build and improve on their technique as bassoonists while developing a new sense of musical interpretation in etudes and solos. ​An exciting part of the 2019 Bassoon Bonanza! will be the chance to perform in a massed bassoon ensemble known as the Barking Basset Bassoon Ensemble. Participants will come together daily for rehearsals and a final concert on Friday will present the various selections worked on during the week. Ensemble music will be sent out one week prior to the start of the workshop. • "The Importance of Scales and Arpeggios in Developing Your Technique"
• "An Aural Potpourri of Music for Bassoon"
In order to get the most out of this workshop, participants should come prepared to play an etude from a standard bassoon method book or their All-Region/All-State audition material. A movement from a recent solo that you have performed or are going to perform would also be acceptable. If you are a beginning bassoonist and have not worked on etudes, we can concentrate on learning initial scales at a slow tempo. Participants will receive a variety of handouts to take home and use for the coming year. Our intent is to make the 2019 Bassoon Bonanza! very relaxed and non-competitive. Participants will have a chance to meet and perform with other bassoonists from the region and beyond. Bassoonists will come together as a family in a fun and positive atmosphere while gaining valuable knowledge and skill as musicians. On Monday, Susan Brown and Charlotte Blakeley, Andrew Davis, and Richard Ramey will present a recital of works for solo bassoon and bassoon quartet. Our Friday evening Bassoon Bonanza! Final Concert will feature YOU as a member of the the 2019 Barking Basset Bassoon Band! Your instrument and two reeds (you may purchase reeds as a part of the registration process--refer the application for more information). If you own reedmaking tools, feel free to use these in the reedmaking masterclasses. Music stands will be provided for all rehearsals and masterclasses. There will be a selection of bassoon ensemble music, reedmaking supplies, and bassoon accessories for sale during the workshop so you may wish to bring extra money to purchase some of these items. Thanks to generous support from the Oklahoma Jazz Hall of Fame and the Tulsa Symphony Orchestra, the workshop fee the 2019 Bassoon Bonanza! is only $175. This includes the use of a reedmaking kit, cane, handouts, and a free workshop T-shirt. Housing and meals are on your own. For those who wish to bring a prepared lunch, there are refrigerators at the Jazz Hall of Fame in which you may store these. There is also a lounge area in which you may spend time eating your lunch. Downtown Tulsa has numerous restaurants near the workshop site. Visit visittulsa.com for a selection listed by cuisine. We will also have a walking restaurant guide available for participants at registration. There is also a variety of hotels in the greater Tulsa area. Visit websites such as kayak.com and trivago.com for more information.